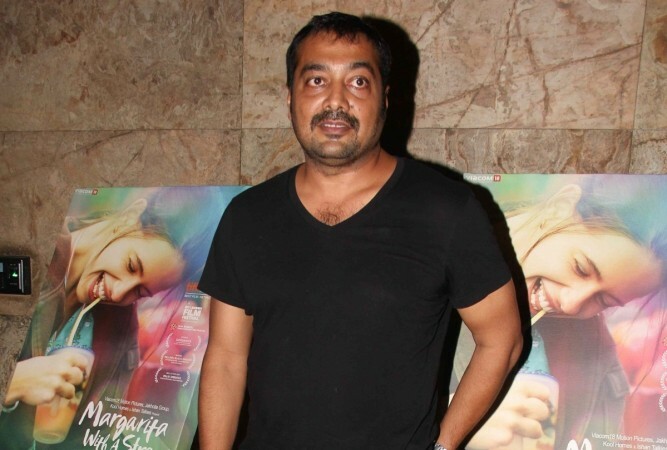 Talking about the impact after going through several horrifying MeToo stories, Anurag Kashyap recalled the time when he did something and didn't realise that he has done something wrong. Director Anurag Kashyap shut down his production company Phantom Films after one of his co-founders Vikas Bahl was caught in the MeToo storm. Last year, Bahl was accused of sexual harassment by a former employee of the film collective Phantom Films, for an incident that took place in 2015 in Goa. The allegation resurfaced as the MeToo movement garnered steam in India. People had started accusing Kashyap and Motwane of being complicit and protecting Vikas Bahl even when they knew about his sexual misconduct. Both Kashyap and Motwane had said that they did listen to the victim's ordeal following which they stripped Bahl of any signing authority and not allowing him to produce films. And the Gangs Of Wasseypur director has maintained that he wants to be answerable for self and not for things that he can't control or can't do. "The whole MeToo movement in India started off and it was so strong, it was affecting change. And then, today, everybody talks about Rakhi Sawant who is just seeking attention and does nothing more than that. And everything goes astray and everybody stops bothering about it," Kashyap shared his thoughts on the ongoing MeToo movement with Brut India. Kashyap also revealed about the limits of the Indian legal system during the hearing of the sexual harassment case filed against Bahl. The former employee of the film collective Phantom Films, who had accused the company's partner, Vikas Bahl of sexual harassment, has decided to drop the case against the Queen director. She said that she will not file any legal affidavit against Vikas in court and doesn't want to escalate the issue further stating that she has had enough. "The judge says that 'You have no right to be a crusader on behalf of somebody who doesn't want to file a complaint," Kashyap said. Bahl has moved the Mumbai High Court with a Rs 10 crore defamation suit against his former Phantom Films partners Anurag Kashyap and Vikramaditya Motwane amid the MeToo furore. Talking about the impact after going through several horrifying MeToo stories, Kashyap recalled the time when he did something and didn't realise that he has done something wrong. "We have to sit down and question ourselves before we question others. I was 18-19, sitting in a class, when I saw a girl smoking, it was my conditioning that made me tell her 'Women should not smoke.' And that girl looked at me and scoffed at me and walked off. I'm like 'What did I say wrong?' When you read every single account, you feel like 'This seems familiar. Maybe I've done this too. Maybe this is how I was.' It's very honest to introspect because that's where the change will begin," Kashyap concluded.